Three authors. Three plays. Three directors. One show. In collaboration with Umanism LLC New York and 369 gradi Rome. Following the success of the first two editions of AdA – Author directing Author – which resulted from a collaboration between the American and Italian writers/directors Neil LaBute and Marco Calvani culminating in the presentation of international premieres of four new plays performed in three different languages, the Spanish writer and director Marta Buchaca joins AdA for the third edition of the project. 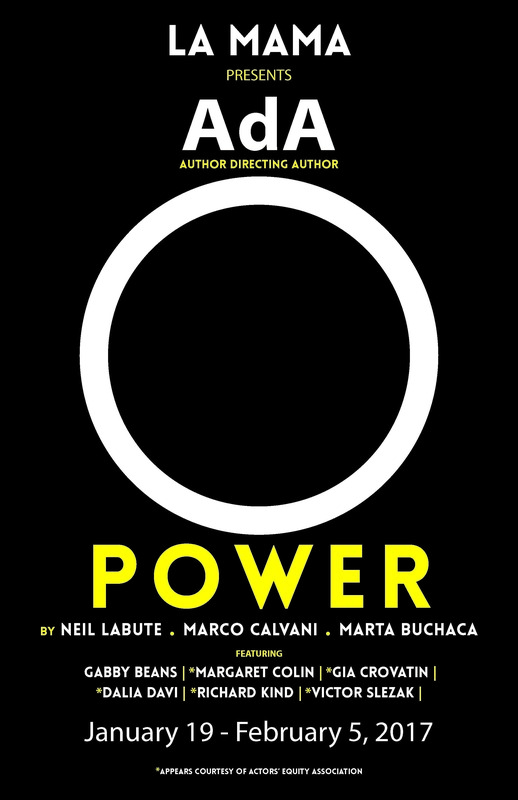 After HOME and DESIRE, this third edition of AdA revolves around one theme: POWER. Each playwright wrote a one-act play that one of the other writers directs. These three US premieres will be performed together in a single show.